Having an Awesome Web Design is every one’s dream when you start planning your website design and architect. But is your website design really awesome? The web design industry is experiencing massive evolution. The prime focus is on visibility as well as usability. Users no longer look for just information – they prefer websites that are attractive and pleasing to their eyes. Every year we get to know numerous web design elements emerging. Using a particular design element depends on a web designer’s plan for building a website. However, there are few elements that a web designer should always consider and not miss at all. If you ask me, what are the most important factors that you should consider while designing a high-quality website? I would say it is the winning combination of different web design features – space, content, images, functionality, and calls-to-action that makes your website stand out from your competitors. Space is one of the most important web design features. Right from flow to visibility, space decides it all! Today Web designers are using Space with creativity we have not seen before. Now let’s take a moment to know what space means in web designing. A Web Page Layout consists of Positive space and Negative space. Positive space contains the web features – images, content, etc. Negative space is the content-less, blank space in between those elements. 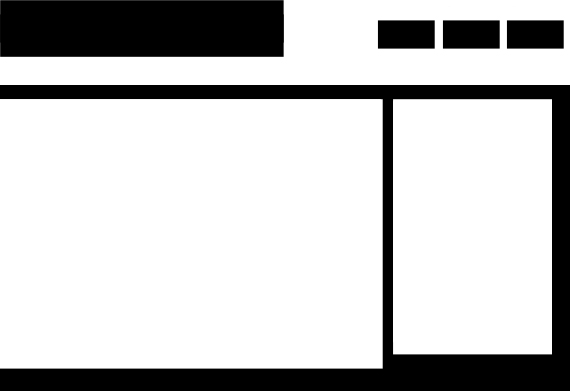 Web designers at BusinessLabs have mastered the art of using Negative Space on websites. Trust me, visitors often e-mail me or comments in the post that you have got an Awesome Web Design. The Home Page of BusinessLabs is a perfect example of well-utilized Negative Space. Having designed world-class sites for e-commerce, product sites and corporates sites, the designers do complete justice to defining the spaces on web pages. There are two types of negative spaces: Micro and Macro. 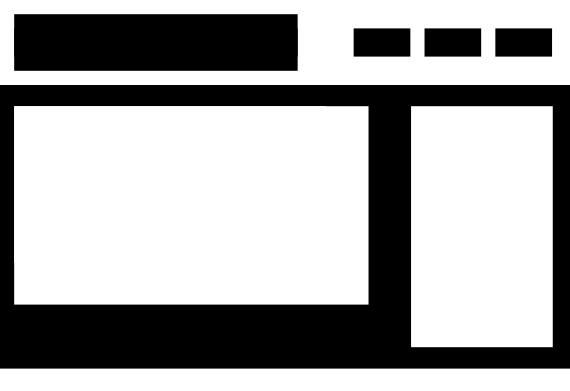 Space between the small sized images, letters, and words in the content is a Micro Negative Space. The space between the bigger, core elements of the design like header navigation and footer is Macro Negative Space. BusinessLabs demonstrates a perfect example of Micro and Macro Negative spaces on their website. The space between the links and the paragraphs are big enough to segregate visual boundaries. Spaces are Highly recommended to get your Awesome Web Design. A professional website does not necessarily mean a site full of informative texts and graphics. An awesome web design is one which has information and is pleasantly laid out on a web page. Here negative space is of much importance. Let’s learn how to use negative space to make an awesome web design. A quick advice to all newbies: Negative space can do wonders. You can look professional with minimum features on your website – just learn the art of balancing spaces: Less content and more negative space! In the picture below, what do you see? A chalice or two faces? This is how negative space works. There’s just one object, but it can be considered as more than one thing. Negative Space is a beautiful element in web design. It interests the customers, grabs his attention and makes him think twice. Moreover, when we use space creatively, it results in repeat customers. Now that is what I call an incentive – having repeat customers to your websites! At the same, using negative space creatively is equally tricky. There are no definite or certain rules, and it is hard to explain it in words. Examples work better when trying to understand negative space. Explore as much as you can. Soon you’ll hit the right chord. Here we bring you some classic examples of some of the most creative use of negative space in logos. Why is Negative Space important? Have you ever thought we would not have loved the rising sun if we would not know what sunset is like? If everything would always be perfect, we would get used to it, and there won’t be anything as “achieving perfection”. A little bit of disorganization here and there is necessary. It helps you enjoy things when they are actually ‘perfect’. Isn’t it? It is only because of the negative elements that we realize what is positive. In fact, negative is as important as positive is. Moreover, sometimes more attractive – I think white is just beautiful – at times, more beautiful than all the colors of rainbow put together! Negative Space works just like that. It helps the visitors differentiate one object from the other and helps them to give focus on the objects. Hence, this space is used to attain a balance between objects on a web page layout to make it more readable to our eyes. Too much or too little of negative space can ruin the visibility score of your website. In designing, there’re no rules to define best or worst designs. While some designers might consider filling up a maximum portion of the white space others may go minimal. Perfection is achievable when there is a balance between the negative and positive space. A web page full of text will not be pleasing to the readers eyes. Having space in between the text, images, and other elements is vital. One tip: Train your eyes, go through as much of negative space samples as possible and master the art! This advice especially fits the beginners. Right from the logo, to navigation, tools and images – all elements have their importance of placement depending on their size and connection to each other on a web page. Try to differentiate between the elements and apply negative space in a manner that helps the elements stand out. There’s should be proper space before and after the headline so that there is no distraction in that area. There shouldn’t be much of negative space between the header and paragraph text, else the connection might get lost. The paragraph text should be crisp. If you want to include text, logos, or links below the paragraph, ensure there’s considerable amount of negative space there. There should be consistency in spacing. Negative space should be designed in such a manner that each of the objects can be seen neatly, and viewers can focus on them with comfort. You may also use different colors for each Logos, links, etc. to help each element to stand out. When the perfect harmony is achieved between the elements and negative spaces, the layout will be successful in catching a readers’ attention. Typography is all about arranging type. It includes the font, style, and size of a font. James George gives a beautiful illustration of how to use typography and other essential elements on a web page in his post: A Solid Understanding of Negative Space. Negative Space is vital when considering typography. For the web page body text, you should make sure that you have selected an easily readable font and font size. You may experiment with headers and call-to-action text. Your sole motive is to keep the visitor glued to your website, and font size plays a critical role in this. If you do not use a readable font size, the chances are that your visitors may just click the back button. Use bigger fonts for headers since they lead the web page. Use fonts that are big enough to read but not so fat that is painful to the eyes. There should be the required amount of negative space between each line of a paragraph to help the readers grab information with ease. 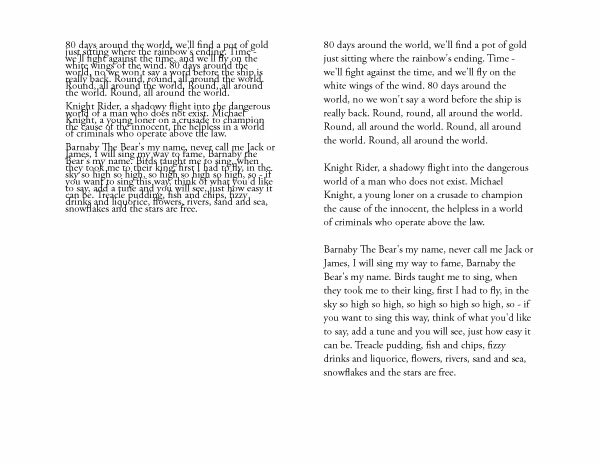 Which is easier to read: Left one OR Right one? The thumb rule is that the font used to be such that the objects are clearly visible instead of the eye looking for the objects in a web page. If the latter happens, the visitor might like not to spend another minute on your website and find some other website for the required information. Check out how we made the spacing between the paragraphs, in between the words, and within the words – between each character. If you look clearly, there’s good use of negative space between the header and the footer and the content in the center. The typography used might be similar but the most important aspect – the sections are clearly visible, and the layout appears roomy – has been met. What do you think? In web designing, negative is positive! While negative space may call be so, I believe it is positive. By now the reasons are clear: Negative space enhances the visibility of your website and visibility is one of the most factors that drive traffic to a website. If you want your website to stand out from the crowd, prepare a sound strategy and actionable, practical plans, execute them to get you more clients, let us guide you in that. Sales Engineers at Business Labs will help you make an impact! There’s a Talk To Our Specialist button with each service. Submit your details and allow us to guide you on your journey to success. In case you want to speak to us, please write your query in the comment of this post. We’ll be pleased to answer them back! Designing your website or an online real estate is not about implementing the tools that are ruling the trend. It is about finding efficient ways of delivering the message behind your design. Negative space helps you do that. Employing effective Negative Space is tricky but once you have grabbed deeper understanding, you’ll be able to create a highly efficient and interactive web page layout. To learn this trick, think from your customers’ perspective – would you prefer a website full of information with no space for the eyes to rest or a website that is well-spaced? How much attention do you pay to negative space in your designs? Is it something you pay more attention to? 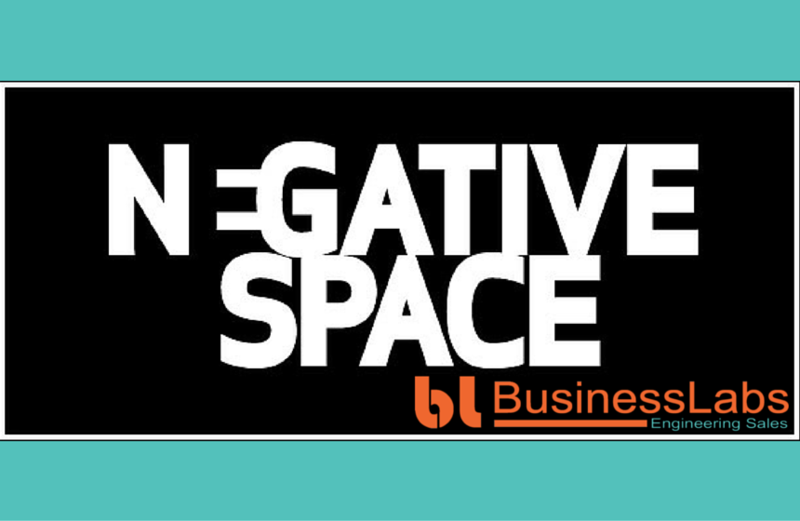 Do you think the term negative space is the perfect word for whitespace? Wish your project to stand out from your Competitors. Good Luck! Let me know if I can help you in anyother way. Sometimes it becomes difficult for a website designer to design a website which can make more sales. Here is my post on color combinations where I tried to define set of colors that increase sales on your website. Please comment here and let me know what more difficulties you face while converting more customers on your website.